In celebration of the Thanksgiving holiday, the offices of Rollins Financial and Rollins & Van Lear will be closed on Thursday, November 27th and Friday, November 28th. Our regular office hours will resume on Monday, December 1st at 8:30 a.m. If you require immediate assistance during this time, please contact Joe Rollins at 404.372.2861 or jrollins@rollinsfinancial.com. And don't forget to check out our new website. Be safe, have a wonderful thanksgiving and please know we are very thankful for you! October was clearly a volatile month. Although the stock market had been soft during the latter part of September, it really became unpredictable during October. This is not terribly unexpected, but at the same time it does not happen on a regular basis. As corporations start to announce earnings, the traders that make their living in volatility hedge their bets against whatever the companies will eventually announce. At one point during the month, the broad market was down to almost 10%. It got so bad that I even wrote an interim blog Conundrum where I indicated that even though the market was volatile, the underlying fundamentals were intact and there was no reason to abandon the market due to this volatility. Looking back at that period in the middle of October, it was a scary time for many investors. However, having watched the markets for close to 40 years, these volatile times are not a rarity. Once volatility begins, it is important to understand why, and whether it is something you need to be afraid of or should just ignore. As the end of the month rolled around, it was clear that my message to investors in “Conundrum” was correct. After all was said and done, the market rallied back to fully recover its 10% decline and actually ended up positive for the month of October. Who would have ever thought in the extraordinary volatility of mid-October that we would actually end the month in a positive light? For the month of October, the Standard & Poor’s Index of 500 stocks was up 2.4%. The NASDAQ Composite grew 3.1% and the Dow Jones Industrial Average was up 2.2%. Even the beleaguered Russell 2000 was up a stunning 6.6%, which was the best of all the indexes. The S&P 500 is up 11% for the year as of the end of October and up 17.3% for the 12 months ended October 2014. The NASDAQ Composite was up 11.9% for the year 2014 and 19.6% for the year ended in October. The Dow Jones Industrial Average is up 6.9% for 2014 and up 14.5% for the 12 months ended October 31, 2014. In contrast, the Russell 2000, which has been extraordinarily volatile, is only up 1.9% for 2014 and only up 8.1% for the 12 months ended October 31, 2014. Just so you have a basis for comparison, it is also interesting to see that the Barclays Aggregate Bond Index was up 1% for October and continues to be up 5.1% for 2014, but only up 3.9% for the one year ended October 31, 2014. While many people hide out in bonds in order to avoid volatility, we are almost certainly in a rising interest rate environment. I recently spoke at a seminar on investing and thought I would go back over the years and illustrate why market timing is an absolute waste of time. 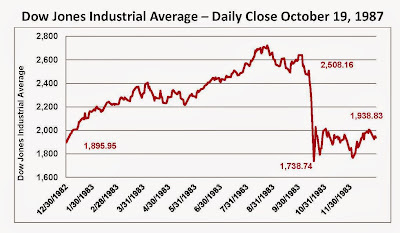 When I first became active in investing in 1987, we were all crushed by the market crash on October 21, 1987. In fact, I saw many so-called experts using this time during October 2014 to surmise that the market would go down as much as it did in 1987. On that day in 1987, the Dow Jones Industrial Average went down 22% in one day. For those of you who are not familiar with this time, that was 22% in just one trading day - not a week, month, or year. Please look at the chart below illustrating this dramatic activity. 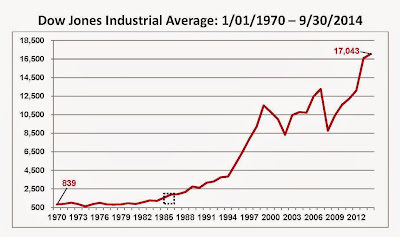 I have identified on the chart below when the stock market crash of 1987 occurred. On that fateful day, the Dow Jones Industrial Average ended down at a level of 1738. Today, the Dow Jones Industrial Average is 17,380. That means that the market has gone up tenfold since 1987. For those of you interested in statistics that is 1,000% higher than it was in 1987. I only remind you of the 1987 crash because it was clearly on display in mid-October as the reporters on the financial news channels were exclaiming all the negatives that were set to occur. However, they missed many very clear signs that the economy was strong and earnings were stronger. Not a single day passes that I do not hear that the market will crash because it has gone up so much and so quickly. While certainly nobody knows what will happen over the short-term, I do know you can predict what the market will do over the long-term based upon interest rates, earnings, and the economy. If all three are intact as they are today, it is much more likely that the market will move higher rather than lower. While it gives me great pleasure in writing the words that my blog of October 15th was correct, I do not find joy in seeing my clients make moves that are not beneficial to their investment future. I wish I would have kept track of how many clients called indicating their concerns that the market was headed for a major correction. 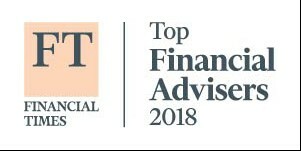 Despite very few of them actually making any moves after speaking with us about the markets, it still bothers me that clients are not evaluating true economic data, and choose instead to give weight to some of the ridiculous proclamations of so-called knowledgeable people in the financial press. If you are ever having a hard time evaluating data, please give us a call as we certainly would love to discuss it with you. While writing this, I am reviewing the financial and economic issues in the US today. Clearly, there is no indication of a weakening economy when you read that the durable manufacturing is up 6.42% over the last one year, and capacity utilization borders on a full capacity 80% with a reading of 79.3% for September of 2015. Manufacturing is extraordinarily strong and that is a positive. Also, exports increased 4.5% over the last one year, even in face of a dollar that is strengthening dramatically due to the strong US economy. We hear so much about employment and the employment participation rate that it obscures the actual facts. While it is clear that there are way too many people living off government subsidies, employment has dramatically improved over last year. Over the last two-year period, we have added almost 4 million new jobs. This is a significant number since this is 4 million people that can now contribute to the economy by buying goods and services, which improves gross domestic product. Virtually every aspect of employment has improved over the last year, although I don’t believe the unemployment rate is truly 5.8%, as the government reports. While certainly better, who knows exactly how good it is at the current time. But what I do know is that these previously unemployed 4 million Americans will now be contributing to improve the economy. 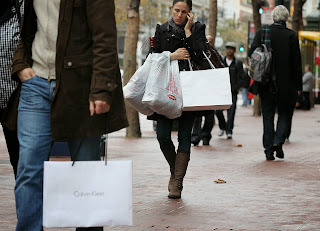 It is amazing to see consumer confidence up 30.52% over the last 12-month period. Standing at a percentage in October at 94.5% tells you that most people feel good about the economic future. Also, the index of leading indicators is up a robust 7.3% over the last 12-month period. Anyone reading the almost rosy economic statistics at the current time could tell it is highly unlikely a major negative economic swing could be occurring. Earnings for the third quarter of 2014 were up almost 10% over the identical quarter in 2013 and interest rates continue to be zero or lower and as illustrated above, the economy continues to be strong. It is interesting to note the rate of inflation was recently announced at an annualized 1.7%. However, many of the people reading this posting today have funds in money market accounts earning zero and CDs earning less than 1%; having money in cash today means that every single day you are losing money to inflation as the cost of living grows. I have indicated in multiple postings that the market will reverse when one or more of the indicators of interest rates, earnings, and the economy change. Currently, all three are positive and are increasing. When I wrote the blog “Conundrum” in mid-October, I had absolute confidence whatever was happening would not affect the stock market in a dramatic way. You may rest assured though that I have no pretense about predicting market crashes. No one can, no one will, and it is unlikely that I will even try. On Broadway, most musicals and theatrical shows will have "previews" that are performances that allow the director and production team to make changes or for the cast to become settled in their part before the show is attended by theatre critics. Generally, you won't find much difference between a show in previews and when it is technically "opened," but much like Broadway, even The Rollins Financial Blog can at times have technical glitches. Our last blog, "Broadway Junkie," for some reason had issues with the photos not appearing in the email that was sent. We believe that everything has been fixed for this "Take Two" edition - but if not, please click here to be directed to the website to view the post and pictures completely. I realize that I have not written my investment report for the month of October, which was a very volatile month on the stock market, but intend to do so later this week. In the meantime, I thought I would give you an update on my recent trip to New York, which is a lot more entertaining. Suffice it to say that the month of October, even while extraordinarily volatile, ended up being an excellent month for the financial markets. Also, November has started out strong, so we are progressing nicely into the most successful part of the year for the stock market, which is the November through May financial year. As I mentioned, I will cover each of these items at a later time. About this time last year, I wrote 48 hours in The Big Apple. This year I made another trip to the Big Apple, not only for the Baron Investment Conference but also to attend as many Broadway plays as I could during a three day weekend. To see four Broadway shows and get the most value for my money, I attended a play on Thursday, Friday, and Saturday night, along with a matinee on Saturday afternoon. Flying back to Atlanta early Sunday morning, I knew it would be a busy weekend but well worth it. While I was there, I also had the opportunity to visit the 9/11 museum. 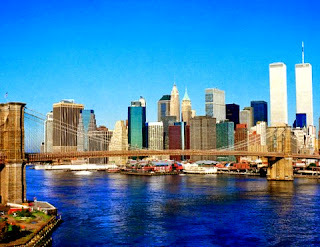 If you have not been and ever get the opportunity to do so, you should certainly make a trip down to Lower Manhattan. 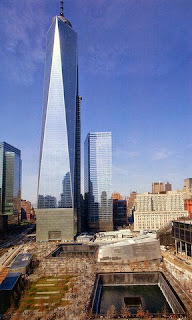 They have recently opened the museum and the new 1 World Trade Center is open for business (picture below). While certainly not as impressive as the preceding twin towers, it is still pretty overwhelming if you have never seen it up close and personal. For those of you who are not familiar with the site, they now have built two fountains that encompass the actual footprints of the towers that were destroyed in the terrorist attack. In between the two reflecting fountains, the memorial space is completely underground, while the wall that kept the Hudson River out of the original World Trade Center is exposed. Although I was very impressed by its beauty, it brought back all of the ugly memories of that fateful day, and you may rest assured, “I will never forget”- not in this lifetime! On Thursday night, I went to see a musical that I had never seen before (which is unusual) - Beautiful: The Carole King Musical. Although I am very familiar with Carole King, I did not know she wrote “Up on the Roof” for The Drifters, one of my favorite groups in the 1960s. And who could ever forget, “(You Make Me Feel) Like a Natural Woman” by Aretha Franklin, another famous song from that era. Surprisingly, the show was excellent, and since I was so familiar with the music (from my college years), I guess it really hit close to home. Carole King’s famous album Tapestry has set kinds of records and to this day, it is one of the highest grossing albums by a female performer and one of the overall best-selling albums of all time. During the day on Friday, I attended the annual Baron’s conference, which is always a treat. Not only is the financial part of the conference good, but it is held at the Metropolitan Opera House and always features big-name entertainment to break up the monotony of discussing the stock market. For lunch, I was somewhat surprised to see they had the entire New York Symphony Orchestra performing. There were at least 50 musicians and 20 singers to perform the songs from the famous Show Boat musical composed by Jerome Kern. While certainly beautiful and Broadway related, it is just not my cup of tea. After a short while, I left that venue and headed over to see country star Carrie Underwood perform. Given her relatively short time in the limelight, she really is an excellent performer. The concert was all Broadway mixed with Hollywood- laser lights, the entire works... And yes, it is true… she is pregnant, and it shows. After lunch and additional meetings at the conference, they announced the famous entertainer slated to perform that afternoon. You may recall last year, the entertainment was Barbra Streisand and her orchestra. I was thinking to myself that they would never be able to outdo that one, but sure enough they did. Ron Baron was as excited as the rest of us to announce that the entertainment for the afternoon would be Paul McCartney. And believe it or not, I sat in the very first row, less than 10 feet from one of the greatest musicians of all time. Having grown up in rural Southwest Virginia, to a very humble life, I would have never dreamed I would be afforded this opportunity. Due to their influence on my during my high school years, no one was more famous to me (and many others) than The Beatles. For years we could not believe the success and the honors that The Beatles accumulated in the United States. Who would have ever thought that forty years later I would actually be within 10 feet of Paul McCartney? He performed many of the original songs, including “I Want to Hold Your Hand” and “Hey Jude”. I can report that even today, Paul McCartney at age 72, sings as well as ever. It was certainly a thrill beyond belief to see him perform so up close and personal. After the Paul McCartney concert, I rushed back to Broadway to attend the performance of Motown. I was lucky enough to have a seat in the first row, directly in front of the stage. In fact, the conductor and I shook hands prior to and after the performance. I will not bore you with the details of revisiting the Motown play, since I discussed it last year, however, the reason I like Broadway so much is because of the sheer talent you can see up close and personal. Here, classic performers are just extraordinarily talented, young kids. They do not make millions of dollars like the stars, and in fact, are probably lucky to make $1,000 per week. It is the truest form of entertainment and by far my favorite. I even love the old playhouses on Broadway, with their uneven floors, seats too close together, and inadequate restrooms. When they built the Marriott Marquis in Times Square, they had to tear down many of the original playhouses. This caused such a public outrage that the city of New York made all of the original playhouses “historic buildings”. Due to this historic designation, apparently playhouses cannot be renovated or updated. And despite everything wrong with these venues, I truly love them and hope they never change. On Saturday afternoon, I went to my 11th viewing of the Jersey Boys – and am already looking forward to my 12th. This is sheer energy and talent with a bunch of unknown actors, singing songs that were recorded almost 40 years ago. There is nothing more enjoyable than to see the story unfold, surrounded by the fabulous music of The Four Seasons. There is one scene in the musical where the character playing Frankie Valli does a solo version of “Can’t Take My Eyes Off of You”. At the end of the song, the 2,000 people in attendance all stood at once to applaud; and I have never witnessed a time when the audience’s reaction was not the same after this song. The only time I have seen anything comparable to this reaction on Broadway, was when I saw Michael Crawford and Sarah Brightman perform The Phantom of the Opera in 1990. In the original run of the Phantom, these two best known performers literally brought the audience to their feet when they sang the lead song. I know it is an exaggeration, but I still believe it to be true: the house shook. I have seen Phantom of the Opera at least 10 times and that was by far the best. Finally, on Saturday night I attended the most recent version of Les Miserables. I have actually seen Les Miserables nine times, in nine different versions - including 3 times in London, once in Atlanta, and now 5 times in New York. This was an updated version and the production was pretty spectacular. Once again, young kids expressing enormous talent and no big-name performers. As the performance progressed, all I could think about was how poorly the movie was in relationship to this. It seems pretty silly that the movie was made with million-dollar actors, none of which could really sing, and here before me were these amazingly talented, young kids performing extraordinary songs while earning virtually nothing. In summary, this was definitely a whirlwind tour of the Big Apple this trip. Four Broadway plays, Carrie Underwood, Paul McCartney, and most importantly the 9/11 museum. You could not have squeezed in an additional event over the two and a half days I was in New York.